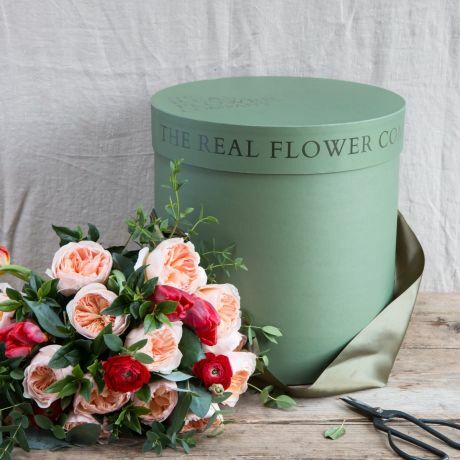 Please Note: This bouquet is part of our Valentine's flowers collection and is only available for delivery from the 12th-16th February 2019. A vintage-inspired arrangement of silky blush and pink scented roses combined with velvety reds. These gloriously aromatic blooms are matched with seasonal herbs such as rosemary and mint and hand-tied with seasonal foliage, all lovingly hand-tended in our sustainable flower fields. 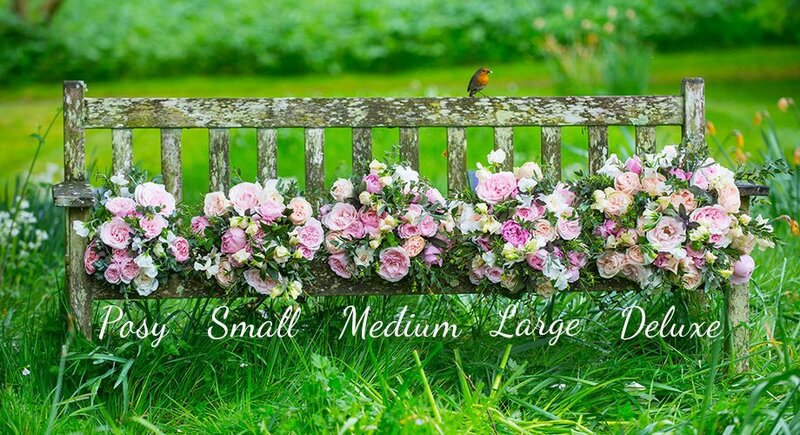 This bouquet is available in Small (12 Roses), Medium (16 Roses), Large (20 Roses) & Deluxe (24 Roses) and is made with a mixture of red, pink and antique roses including our signature rose, Cafe Latte. The image shown is a deluxe size bouquet.